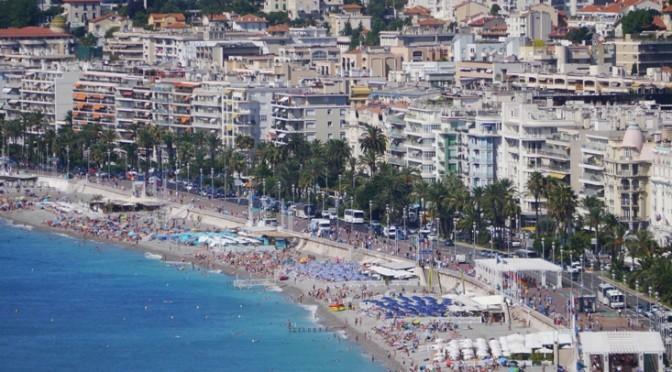 Nice is often referred to as the jewell of the French Riviera. 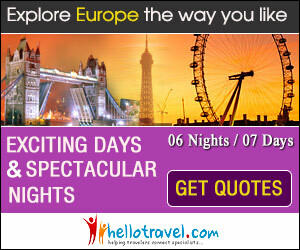 It’s a city and as such has a slightly different flavour to the other resorts on the Riviera. The sea in the Baie des Anges is a beautiful shade of blue as depicted in many of Raoul Dufy’s paintings and the bay is backed by the famous Promenade des Anglais and the Belle Epoque style buildings. Why not take a dip in the blue waters and look back at the beautiful buildings lining the Promenade. Remember to take your beach shoes with you when you visit the pebble beach at Nice. Nice offers many surprises if you take the time to get to know the town: from the Sardinian neighbourhoods around the port, to the Victorian avenues of Cimiez, from the magnificent views at the top of Mont-Boran to the narrow streets of the old town. One sight that goes hand in hand with Nice is that of its palm trees. 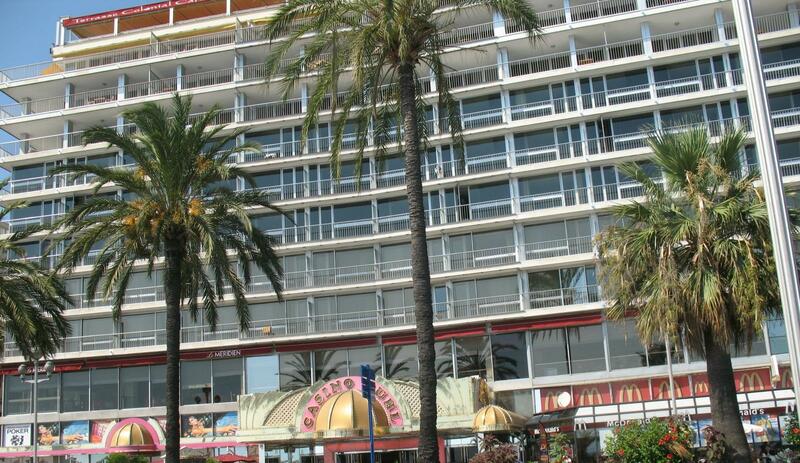 It was in the 19th century with the arrival of the English that palm trees were acclimatised on the Cote d’Azur. They are now a symbol of the French Riviera. The mild Mediterranean climate allows a variety of vegetation such as olive trees, pines, cypresses, lavender, laurels, mimosa, carnations, citrus trees, cacti and of course bougainnillea. Gardens: Jardin Albert 1er – Esplanade du Paillon, Square Leclerc, Promenade du Paillon. The oldest garden in Nice | Jardins Suspendus du Paillon – Promenade du Paillon. Phoenix palms and overhanging Mexican tropical and Asiatic gardens | Le Parc Du Chateau – Castle Hill | Le Castel Des Deux Rois – Amusement Park | Le Jardin Du Monastere De Cimiez – Monastry gardens | Le Jardin Des Arenes De Cimiez – Olive Grove | Parc Forestier Du Mont-Boran – Take the road out of town to the East. You will see magnificent views across the Baie Des Anges and Saint-Jean Cap Ferrat | Jardin Botanique – Avenue de la Corniche Fleurie | Parc Flora Phoenix – adjacent to airport at 405 Promenade des Anglais. It has the world’s largest greenhouse. There are hundreds of restaurants in Nice many with an Italian flavour. If you have just returned from the main shops of Ave Jean Medecin and want a quick meal then why not try The Brasserie Lafayette on the corner of Rue Giofreddo and Rue Sacha Guitry. For an Indian restaurant then Noori’s would be a good choice located at 1 Place Grimaldi (they also have a branch in Brighton, UK). 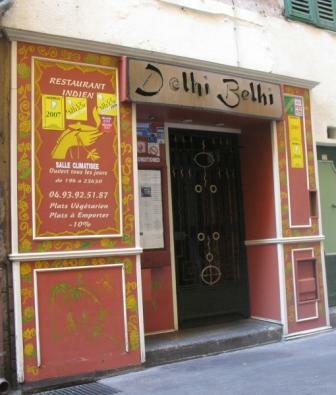 Another favourite is Le Delhi Belhi at 22 Rue de la Barillerie which is situated in the old town. For Chinese try the China Park restaurant located at 30/B, Rue de France on the corner of Passage Baralis and Rue de France.